Hands down, my favorite Halloween treat is candy corn and the girls tend to agree with me on this point. 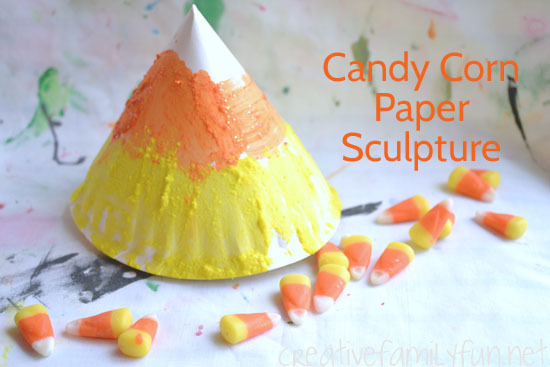 So, to pay homage to our favorite treat, Miss Preschool and I made this fun candy corn craft, a paper plate sculpture. Disclosure: CraftProjectIdeas.com provided some of the supplies for this project. The ideas are all my own. This post also contains Amazon Affiliate and other Affiliate links. Please see my Disclosure Page for more details. 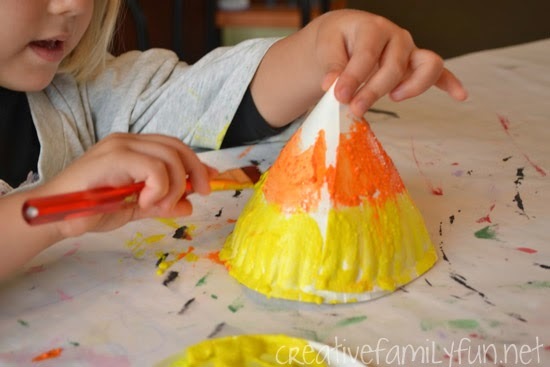 This craft is so much fun to make (and paint), plus it makes a cute Halloween decoration. 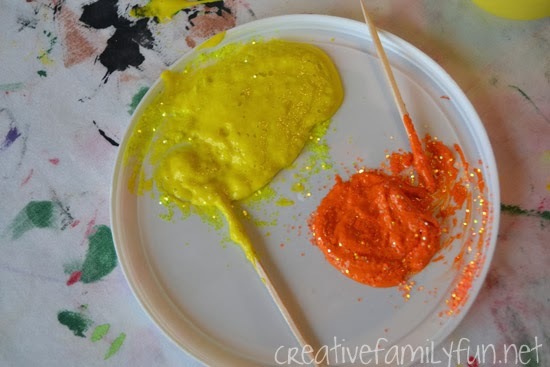 So, let’s grab some fun craft supplies and make our candy corn snack. 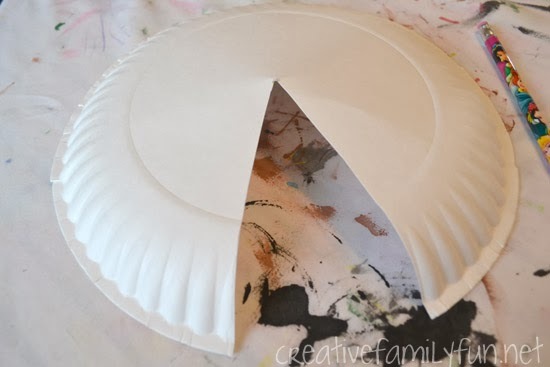 Before we began, I cut a pie-shaped wedge from the paper plate.I made sure the point of my pie shape was in the center of my plate. 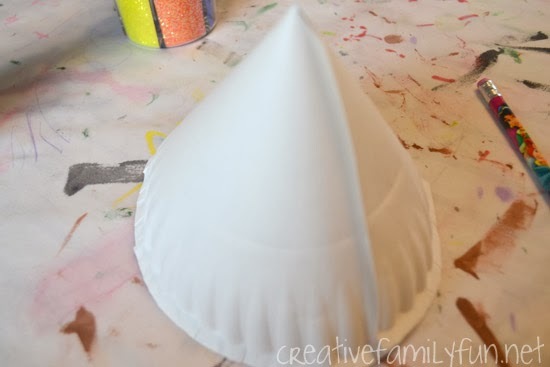 I curled the paper plate until it resembled a cone.I used tape to secure the cone. To help our candy cane sparkle, I added glitter to the paint. Add as much or as little as you want. 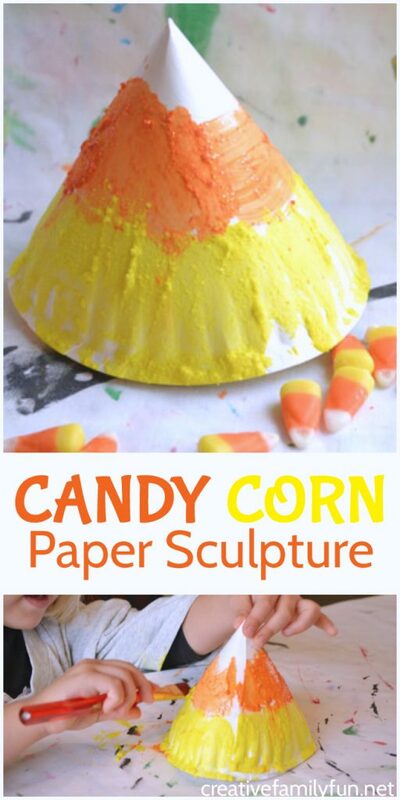 I used a toothpick to mix it together.The glitter will add texture and sparkle to the candy corn sculpture. 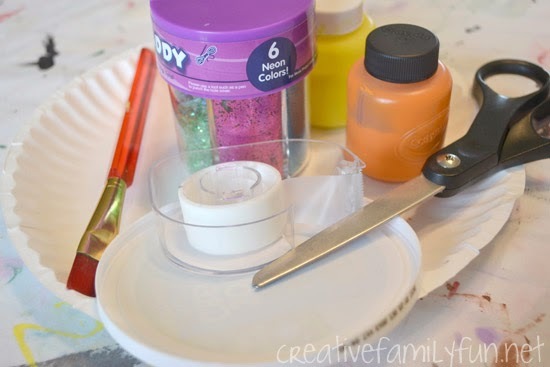 Plus, once it’s mixed into the paint it won’t scatter all over your house! Miss Preschool got to work painting her candy corn. 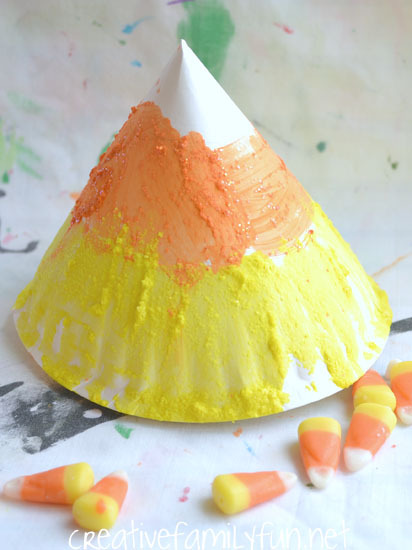 This candy corn craft was a fun and easy project to do. I’d love to have a whole pile of them! Do you like candy corn?